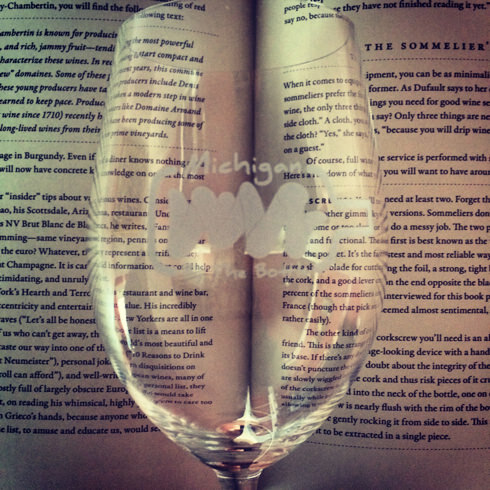 Yes, we’re a place to buy and taste Michigan wine, but we’re also much more! 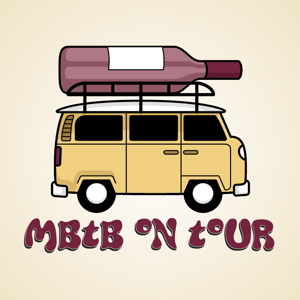 Take a peek at all of the events we have coming up at MBTB Tasting Room to help you get even more engaged. Purchasing an event admission as a gift? Let us know – we’re happy to make a certificate for you! Due to our limited capacity, all sales are final for all events requiring pre-payment. If you find you cannot attend, you are welcome to send someone else in your place. We appreciate your understanding. For more information, call our Shelby Township store at (586) 843-3690, our Royal Oak store at (248) 850-7175 or our Auburn Hills store at (248) 564-2134. 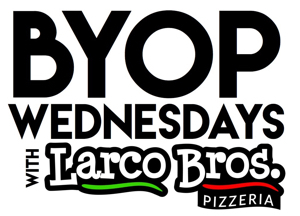 Wednesday, April 24 6:00 p.m. – 8:30 p.m.
We’re teaming up with our neighbors at Larco Bros. Pizzeria (formerly Jo’Angela’s Pizza & Deli Co.)! On Wednesday nights, order pizza from Larco Bros. Pizzeria to enjoy with wine at MBTB Tasting Room and you’ll get 10% off your pizza! Order via phone and the Larco Bros. team will deliver directly to your table at MBTB — with no delivery charge! And we’ll help you with the wine pairings. Ask for a special BYOP menu at the bar. (Please note: Outside food permitted at MBTB is limited to Larco Bros. pizza on dates specified. All other outside food is prohibited.) Promotion valid exclusively at MBTB-Auburn Hills. We're open to the public as usual, with all tradtional tasting options available. Click here to view menu. 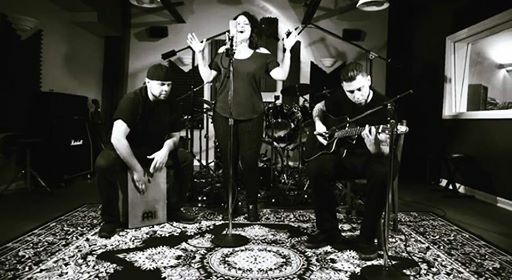 Wednesday, April 24 6:30 p.m. – 8:30 p.m.
Thursday, April 25 6:30 p.m. – 8:30 p.m.
Friday, April 26 7:00 p.m. – 9:30 p.m.
Every Friday night at all three MBTB locations, we feature a great local musician in the tasting room. 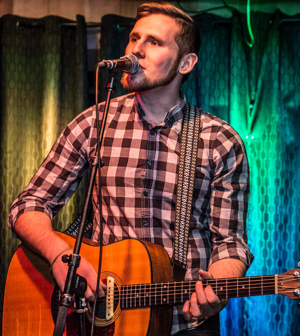 There’s no cover charge, so come on out to sip and listen! We’re open to the public as usual. 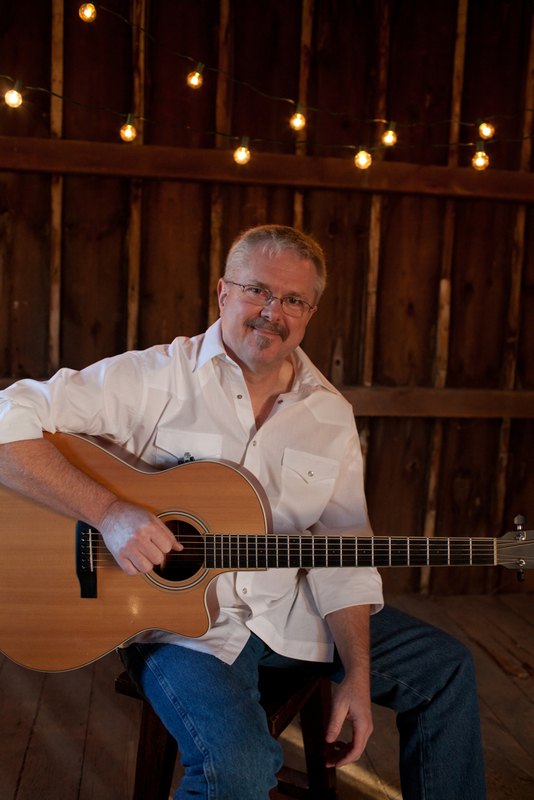 Saturday, April 27 7:30 p.m. – 9:30 p.m.
Saturday, April 27 12:00 p.m. – 4:00 p.m.
Join us for our annual celebration of rosé with Verterra Winery Owner Paul Hamelin! Paul will be on hand for an exclusive release party for Verterra's newest dry rosés: 2018 Rosé of Pinot Noir and 2018 Rosé of Cabernet Franc! During the event, get a Mini Flight of the two new rosés + Verterra’s delicious 2017 Sparkling Rosé for just $6! (One discounted flight per guest.) Bottles of the rosés also will be available for take-home purchase. Featured wines available while supplies last. Just drop in to participate! Please note that due to limited production, the amount of Rosé of Cabernet Franc available is much lower than the other featured wines. As such, we will be implenting a two-bottle per person limit on take-home bottles to ensure that the maximum number of guests has a chance to taste and to buy this wine. No limit on take-home bottles of Rosé of Pinot Noir and Sparkling Rosé. We appreciate your understanding! Sunday, April 28 12:00 p.m. – 3:00 p.m.
Get your game on! Regulars/Sipper Club members Kim and Jeff Smith will be here with a variety of fun board games and will be showing guests how to play. Join in on their games and/or bring your own! We're open to the public as usual, 12-6, with all traditional tasting options available. Sunday, April 28 12:00 p.m. – 4:00 p.m. Calling all knitters, crocheters, quilters and other fans of the yarn and fabric arts! 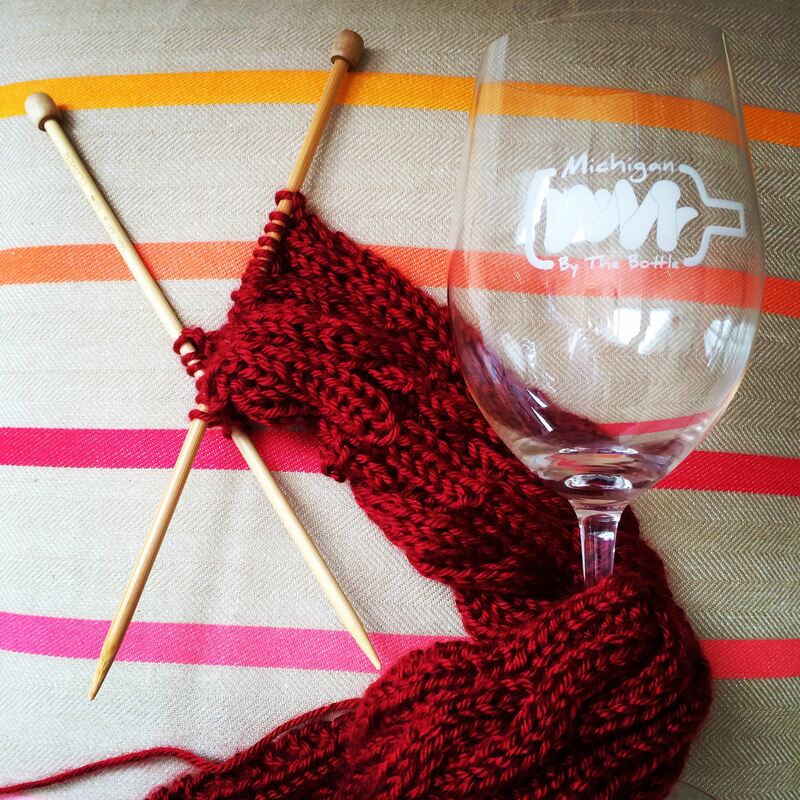 Come on out to enjoy wine and camaraderie with your fellow crafters as you work on your projects and swap tips and tricks in our cozy environment. Bring your yarn, hooks and needles. No registration — just drop in! Please note: No formal instruction will be offered, but we’re sure some of our friendly regulars would be happy to offer tips! We're open to the public as usual, with all traditional tasting options available. Sunday, April 28 12:00 p.m. – 6:00 p.m.
We’re still open to the public with all traditional tasting options during this time period. Wednesday, May 1 6:00 p.m. – 8:30 p.m.
Wednesday, May 1 6:30 p.m. – 8:30 p.m.
Wednesday, May 1 7:00 p.m. – 8:00 p.m.
Love to read? Love to drink wine? Us, too! Join us for the next meeting of MBTB’s book club, featuring fun, easygoing discussion paired with wine! No registration required; just drop by to participate. Big Pours just $7 for Book & Bottle participants during gatherings! Our featured book is “The Smell of Other People's Houses" by Bonnie-Sue Hitchcock. Click here to join our Book & Bottle discussion group on Facebook to stay up to date on all of our gatherings! Thursday, May 2 6:30 p.m. – 8:30 p.m.
Friday, May 3 7:00 p.m. – 9:30 p.m.
Saturday, May 4 12:00 p.m. – 10:00 p.m.
• CHANCES TO WIN PRIZES: when you wear Star Wars gear (and just for showing up, too)! We're open to the public as usual, with all traditional tasting options available. Saturday, May 4 7:30 p.m. – 9:30 p.m.
Saturday, May 4 7:00 p.m. – 9:30 p.m.
Sunday, May 5 6:00 p.m.
We're accepting orders through today for our new Book & Bottle Club T-shirts! Women's and unisex styles and multiple colors available. Click here to view the design, styles, colors and order instructions. Even if you have never been to a B&BC gathering, it's still a fun shirt for wine-loving bibliophiles! 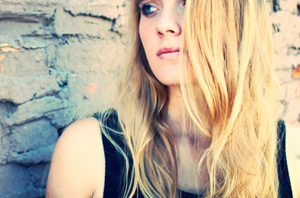 Sunday, May 5 12:00 p.m. – 6:00 p.m.
Monday, May 6 6:30 p.m. – 9:30 p.m.
Tuesday, May 7 7:00 p.m. – 9:00 p.m.
Join registered yoga teacher Kindra Russo for a mixed levels class suitable for yogis of all experience levels, followed by wine tasting and small bites. The $30 cost includes 60 minutes of yoga instruction, a Mini Tasting Flight (three 2 oz. pours of wine), Flight Bites (Michigan-made cheese and chocolate) and a $5 credit toward take-home wine purchases that evening. All levels are welcome; no experience necessary. Please bring your own yoga mat if you have one; a limited number of extras will be available if you don’t. Wednesday, May 8 6:00 p.m. – 8:30 p.m.
Wednesday, May 8 6:30 p.m. – 8:30 p.m.
Wednesday, May 8 6:00 p.m. – 8:00 p.m.
Join us for casual evenings of sips and slices on the second Wednesday of each month! Macomb-based Fired Up - Rustic Wood Fired Pizza will be onsite with their pizza truck, serving up a variety of gourmet specialty pizzas. After ordering outside, bring your dinner indoors, where we’ll be slinging wine and suggesting the perfect pairings for your pizza. 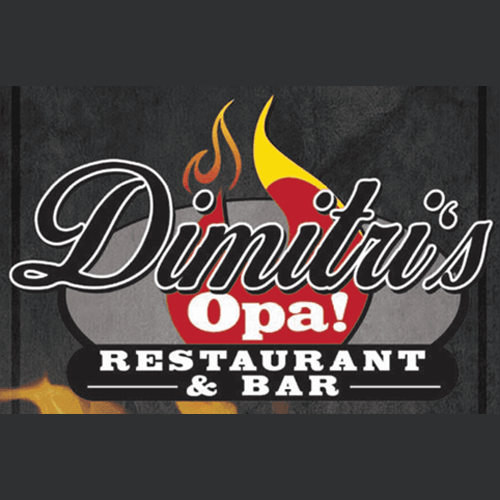 No reservations — just drop in! It’s all first come, first served, WHILE SUPPLIES LAST. We’re open to the public as usual, with all traditional tasting options available. Stay tuned to our MBTB Shelby Facebook page for menu updates. Thursday, May 9 6:30 p.m. – 8:30 p.m.
Friday, May 10 7:00 p.m. – 9:30 p.m.
Saturday, May 11 12:00 p.m. – 1:30 p.m.
Join us for our annual celebration of moms, mimosas and macarons! 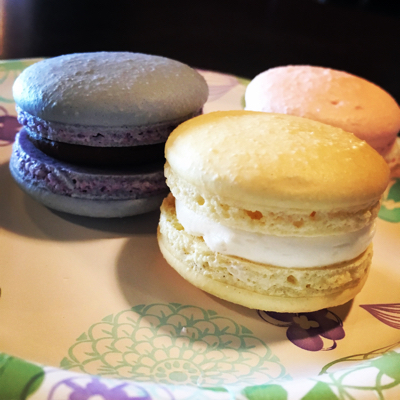 Each guest will receive a "flight" of three gourmet macarons from Love & Buttercream, a mimosa Big Pour and a $5 bottle credit toward take-home wine purhases that day. Additional wine and snacks are available for a nominal fee. Please be aware that you may be seated with other guests, depending on the size of your party. Pre-registration ends May 3 or when seats are sold out, whichever comes first. This event will take place in a cordoned off area of the tasting room; the rest of the space remains open to the public as usual during this event, with all traditional tasting options available. Saturday, May 11 12:00 p.m. – 4:00 p.m.
Drop in during this event to meet Rove Estate owner McKenzie Gallagher and get an exclusive chance to taste several newly released wines! Special discounted tasting flights of the featured wines available: $12 Full Flight (2 oz pours of five featured wines + Flight Bites) or $6 Mini Flight (2 oz pours of three of the featured wines). Featured wines available while supplies last. Limit one discounted flight per guest. Stay tuned to our Facebook page April 22-27 as we reveal the featured wines one by one! Saturday, May 11 7:30 p.m. – 9:30 p.m.
Sunday, May 12 12:00 p.m. – 6:00 p.m.
Sunday, May 12 12:00 p.m. – 1:30 p.m.
We are no longer maintaining wait lists, but you're welcome to click on the SOLD OUT button above to post on the Facebook event wall and connect with other guests for possible buying/selling/swapping of tickets. Join us for our annual celebration of moms, mimosas and macarons! Each guest will receive a "flight" of three gourmet macarons from Love & Buttercream, a mimosa Big Pour and a $5 bottle credit toward take-home wine purhases that day. Additional wine and snacks are available for a nominal fee. Please be aware that you may be seated with other guests, depending on the size of your party. Pre-registration ends May 3 or when seats are sold out, whichever comes first. This event will take place in a cordoned off area of the tasting room; the rest of the space remains open to the public as usual during this event, with all traditional tasting options available. Shelby Sipper Club members, it's time for your Spring Pickup Party! Drop by any time during our regular business hours to retrieve your spring shipments and enjoy some freebies and discounts on us! (Email will go out in early April with complete details.) We're open 2-9 pm Wed/Thurs, 12-10 pm Fri/Sat, 12-6 pm Sun, closed Mon/Tues. Can't make it during Pickup Party Week? No problem! We'll keep your shipments safe here for when you're ready to retrieve them. Please note that promotional freebies and discounts are only available during the actual Pickup Party Week, May 15-19. Club members: The deadline to update your membership information — including tier, payment info and wine preferences — is 6 p.m. on Wednesday, April 10. 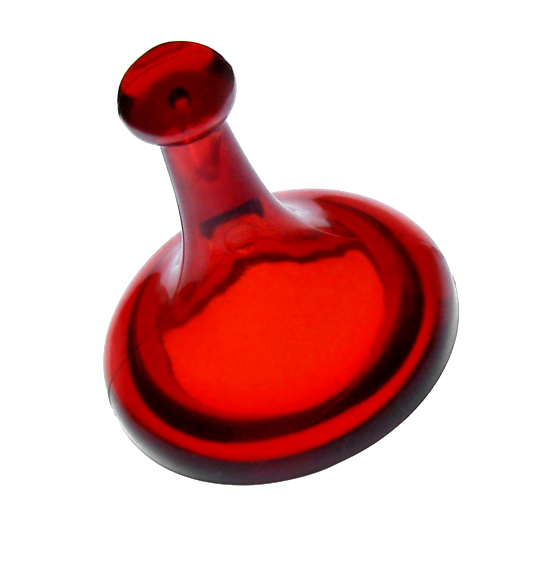 Please email tasting@michiganbythebottle.com with updates. 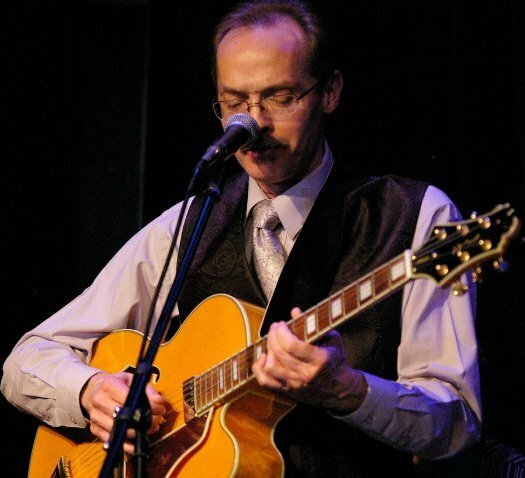 Wednesday, May 15 6:00 p.m. – 8:30 p.m.
Wednesday, May 15 6:30 p.m. – 8:30 p.m.
Sunday, May 19 12:00 p.m. – 6:00 p.m.
Due to Shelby Sipper Club Pickup Party Week, we will not be having our usual Wooden Whisk Wednesday on the third Wednesday of May. Join us for our next one on June 19! Thursday, May 16 7:00 p.m. – 8:00 p.m.
Love to read? Love to drink wine? Us, too! Join us for the next meeting of MBTB’s book club, featuring fun, easygoing discussion paired with wine! No registration required; just drop by to participate. All Big Pours just $7 for Book & Bottle participants during gatherings! Our featured book is "One of Us is Lying" by Karen M. McManus. Click here to join our Book & Bottle discussion group on Facebook to stay up to date on all of our gatherings! There will be no Sporcle Live Trivia tonight at MBTB Shelby due to our Sipper Club Pickup Party Week. Check out our Wednesday games at MBTB Royal Oak and Saturday games at MBTB Auburn Hills, or just join us when Royal Oak Sporcle returns next Thursday! 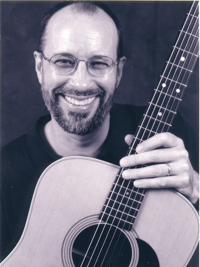 Friday, May 17 7:00 p.m. – 9:30 p.m. 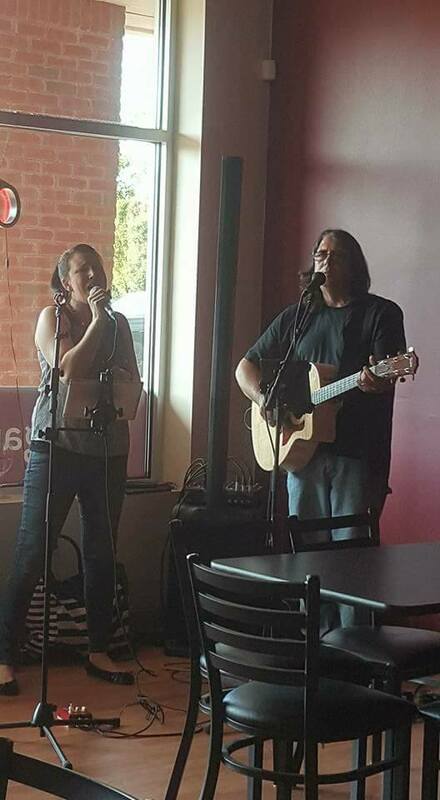 There will be no Tasting & Tunes Live Music this week at MBTB Shelby Township due to our Pickup Party Week. 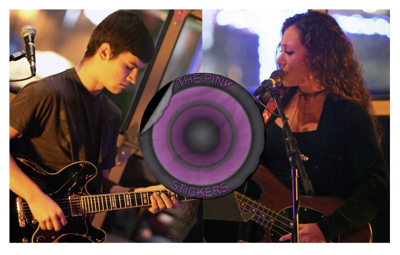 Check out our music at MBTB Royal Oak or MBTB Auburn Hills! Saturday, May 18 12:00 p.m. – 3:00 p.m. SPACES AVAILABLE: Pre-registration with payment required to hold spot. Click here to purchase tickets online. MBTB Cigar Club is back for the season! 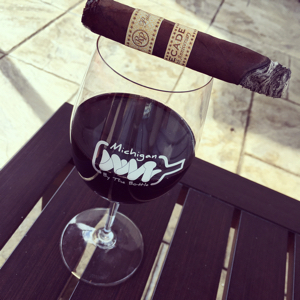 Wine and cigar aficionados: Kick back on our patio with a stogie and a glass of wine as you enjoy the ambiance of Downtown Auburn Hills and the company of fellow cigar lovers. The $20 cost includes a cigar, a Big Pour of wine and a $2 credit toward take-home wine purchases. Additional cigars, wine and snacks will be available for purchase. While spaces for this event are reserved, actual seating arrangements are first come, first served. This event is open house-style; ticket holders are welcome to arrive any time 12-3 p.m. to participate. 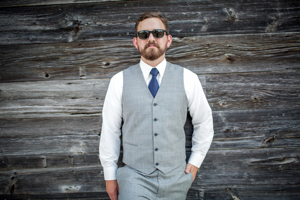 While there won't be any formal presentation, MBTB Tasting Room owner and cigar lover Shannon will be on hand to answer questions about the cigars and any of our wines. Please note: Our patio will be closed to the public during this event and accessible only for registered attendees of this event. Under Michigan law, we cannot permit staff service of food and drink in a smoking area; therefore, attendees will pick up their wine and snacks at the bar to take outside. This event is weather dependent. In the event of inclement weather, refunds will be issued as store credit. Sunday, May 19 12:30 p.m. – 2 p.m.
We are no longer maintaining wait lists, but you're welcome to click on the SOLD OUT button above to post on the Facebook event wall and connect with other guests for possible buying/selling/swapping of tickets. Red wine lovers are not going to want to miss this! Join us for our next vertical tasting, featuring exceptional Merlots from Domaine Berrien Cellars. Wally Maurer, winemaker and owner at Domaine Berrien, will lead us through a guided tasting of the 2007, 2008, 2009, 2012, 2013 and 2016 vintages of his Merlot. Learn more about what made each vintage unique and experience how the wines have changed with age. Cost includes the presentation by Wally, pours of the six featured wines, and a deluxe cheese and charcuterie spread. Please note that due to limited availability, none of the aged wines will be available for take-home purchase, though we do have the 2016 in stock. Space is extremely limited. What's a vertical? A vertical is a wine tasting in which you sample the same wines from various vintages, side by side. You hear about the differences in the growing season and harvests, taste firsthand how those variables influenced the finished wine, and see how the wine changes with age. This will be an incredible opportunity for anyone who wants to learn more and loves red wines! 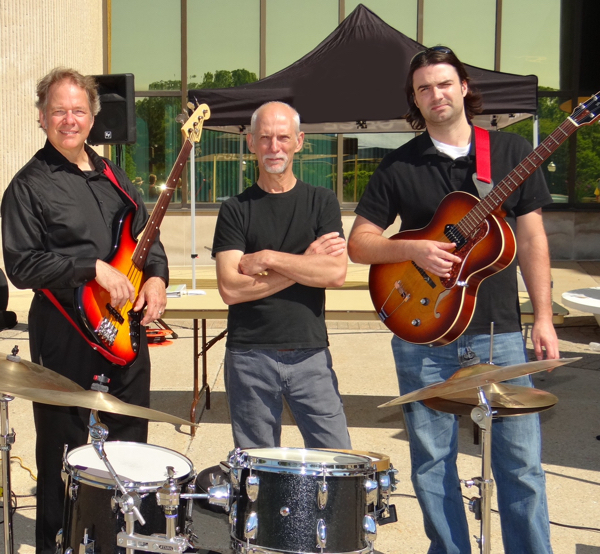 Monday, June 20 6:30 p.m. – 8:30 p.m.
We're taking this show on the road (again)! Join MBTB Tasting Room owners Shannon and Cort for a special visit to Youngblood Vineyard in Ray Township before they officially open to the public. This event will be the perfect close-to-home experience for wine lovers who like to go beyond just drinking and learn more about what’s in their glass. Be among the first to visit the only commercial grape growers in Macomb County as they prepare to open their new winery tasting room Memorial Weekend! Guests will provide their own transportation to Youngblood Vineyard (approximately 20 minutes north of Michigan By The Bottle Tasting Room-Shelby Township), where we'll meet up for an exclusive tour and tasting with vineyard/winery owners Dave and Jessica Youngblood. They'll be educating our group on their farm/vineyards, the grapes they grow and their winemaking techniques as we taste through their estate-grown wines. Wine by the glass and take-home bottles will be available for purchase. 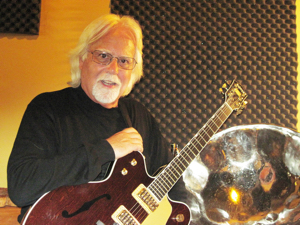 The $20 cost includes the tasting, vineyard tour (weather permitting) and production tour with the Youngbloods. • We plan to be out in the vineyard and in production areas, so please dress accordingly. Closed toed/non-dress shoes and layers are recommended. • All attendees must be at least 21 years old. • All attendees, no matter their age, must have valid photo identification. 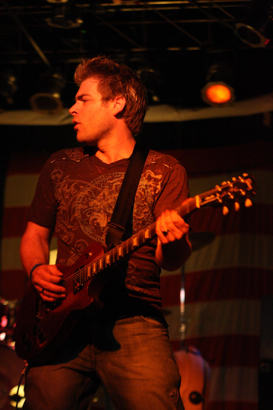 Accepted identification includes non-expired Michigan state-issued ID, Michigan state-issued driver’s license, passport. Non-photo IDs, concealed weapon permits, etc., are not accepted as valid identification. • Per Michigan law, the winery reserves the right to refuse to serve anyone who appears intoxicated. 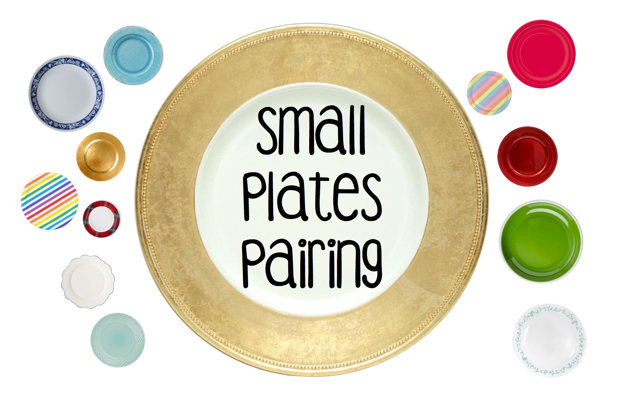 Sunday, May 23 12:30 p.m. – 1:30 p.m.
We are no longer maintaining wait lists, but you're welcome to click on the SOLD OUT button above to post on the Facebook event wall and connect with other guests for possible buying/selling/swapping of tickets. Join us for a very special tasting of premium red wines from four of our partner wineries! This is a rare opportunity to try these high-end reds side-by-side as you learn all about them from MBTB's Pete Longiotti, our director of wine education. The tasting will occur in a very intimate setting, with space limited to 10 attendees. Make new friends and learn while you sip! The $45 cost includes the presentation, tasting of each of the featured premium wines and a $5 credit toward take-home wine purchases. All of the featured wines will be available in limited quantities for purchase. This event will take place in the Veraison Room at our Auburn Hills location. The rest of the space remains open to the public as usual during this event, with all traditional tasting options available. Thursday, May 23 6:30 p.m. – 8:30 p.m.
Friday, May 24 7:00 p.m. – 9:30 p.m.
Thursday, May 30 6:00 p.m. – 8:00 p.m.
Have tacos, will travel! Join us for the next edition of Traveling Tacos, a pop-up taco event with food by Alex Franz and Laura Torchia of Wooden Whisk Creations! An a la carte menu that includes several types of tacos, chips, salsa, guacamole, queso and more will be available! Escape from the hustle and bustle of the holiday season and let WWC cook for you! No pre-registration required; it's just first come, first served, until 8:00 p.m. or while supplies last. Stay tiend for menu! Thursday, May 30 6:30 p.m. – 8:30 p.m.
Friday, May 31 7:00 p.m. – 9:30 p.m.
Saturday, June 1 12:30 p.m. – 2:00 p.m.
Join us and Left Foot Charley Operations Manager Meridith Lauzon as we explore a series of LFC wines alongside small bites. Learn about the various wines — including several not on our regular tasting menu — from Meridith and wine/food pairing techniques from MBTB's Shannon. The $35 cost includes several small plates paired with wine pours and a $5 credit toward take-home wine from Left Foot Charley. Menu TBD, but will include meat and/or seafood. Space is extremely limited. This event will take place in the Veraison Room or a cordoned off area of the tasting room; the rest of the tasting room will remain open to the public. DIETARY RESTRICTIONS: Due to the nature of this event, we will not be able to accommodate any dietary special requests. Saturday, June 1 7:00 p.m. – 9:30 p.m.
Sunday, June 2 12:30 p.m. – 1:30 p.m.
Michigan By The Bottle Tasting Room-Auburn Hills manager Peter Longiotti is taking his popular wine education series on the road to Michigan By The Bottle Tasting Room-Royal Oak! 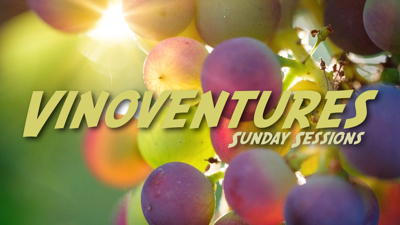 Join us for a fun, casual exploration of a variety of wine topics. Each Sunday in June, Pete will examine a different subject through the lens of Michigan wine. Sign up for one, a few, or the entire series! Each session is $20 and includes the class and several wine pours. Register for all four classes in the June series and receive a $10 MBTB e-gift card! (Tickets must be purchased under the same name to receive the gift card, but all tickets do not have to be purchased at the same time. E-gift card will be issued upon the conclusion of the series.) Pre-registration is required, and space is very limited. Click on the Eventbrite link above to register for this session, or click on the links below to register for the other sessions. Exploring Chardonnays and Pinot Noirs throughout Michigan. Exploring identifying characteristics of mystery white grapes without preconceived notions. Exploring identifying characteristics of mystery red grapes without preconceived notions. Exploring refreshing wines for the summertime. 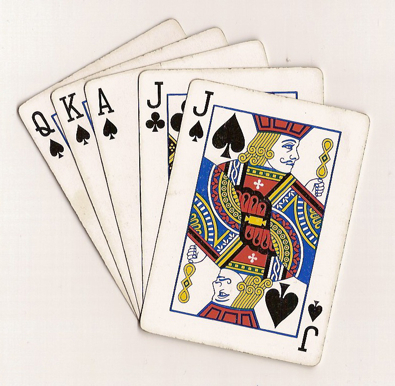 Sunday, June 2 1:00 p.m. – 4:00 p.m.
MBTB regulars Richard and Carol Howell organize an every-other-month Sunday Euchre Party, and you're invited! NO PLAYING FOR MONEY — just for fun. All experience levels welcome. Enjoy some wine and friendly camaraderie with fellow wine- and euchre-lovers. Must be age 21 or over. If interested in attending, please RSVP to Richard Howell at ricj1974@hotmail.com by May 28. We're open to the public as usual during this event, with all traditional tasting options available. Sunday, June 3 6:30 p.m. – 9:30 p.m.
Take a virtual trip to the Lake Michigan Shore Wine Trail during this delicious evening out! Domaine Berrien Cellars Owner/Winemaker Wally Maurer will be here to lead us through a series of DBC wines and share more information about his Berrien Springs-based winery — which uses 100% estate-grown grapes — while Chef Chris Franz of Wooden Whisk Creations serves up a multi-course gourmet dinner that pairs perfecly with the featured wine. The $65 cost includes the meal, paired wine and a $5 credit toward take-home purchase of DBC wine that night. (Gratuity not included.) Menu TBD, but will include meat and/or seafood. Vegetarian option available upon registration. 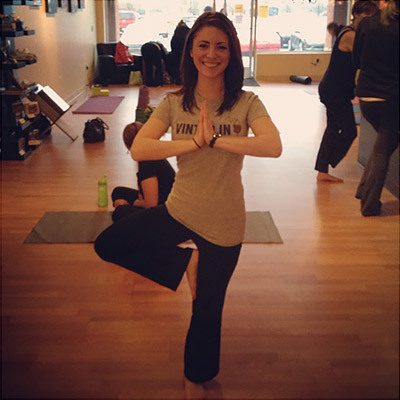 Tuesday, June 4 7:00 p.m. – 9:00 p.m.
Join registered yoga teacher Kindra Russo for a vin/yin class suitable for yogis of all experience levels, followed by wine tasting and small bites. The $30 cost includes 60 minutes of yoga instruction, a Mini Tasting Flight (three 2 oz. pours of wine), Flight Bites (Michigan-made cheese and chocolate) and a $5 credit toward take-home wine purchases that evening. All levels are welcome; no experience necessary. Please bring your own yoga mat if you have one; a limited number of extras will be available if you don’t. 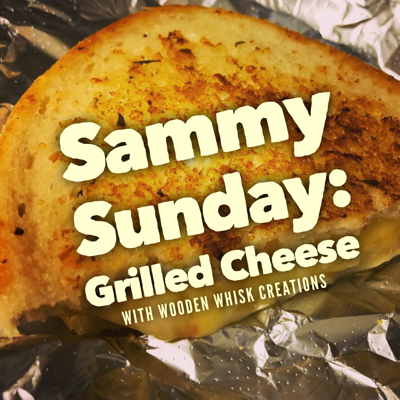 Friday, June 7 7:00 p.m. – 9:30 p.m.
Sunday, June 9 12:00 p.m. – 2:30 p.m.
Join us for our next pop-up grilled cheese sandwich shop with Alex Franz and Laura Torchia of Wooden Whisk Creations! An a la carte grilled cheese menu (plus sides and dessert!) will be available. No pre-registration required; it's just first come, first served, until 2:30 p.m. or while supplies last. If you haven't had WWC's incredible grilled cheese sandwiches from our past Souper Sunday events, here's your chance! Gluten-free and vegetarian options available. Menu coming soon! Sunday, June 9 12:30 p.m. – 1:30 p.m.
Wednesday, June 12 6:00 p.m. – 8:00 p.m.
Thursday, June 13 7:00 p.m. – 8:00 p.m.
Our featured book is "Pride & Prejudice" by Jane Austen, the runner up in our 100th Book Celebration Vote, decided by our members! Click here to join our Book & Bottle discussion group on Facebook to stay up to date on all of our gatherings! Sunday, June 16 12:30 p.m. – 1:30 p.m.
Wednesday, June 19 6:00 p.m. – 8:00 p.m.
Join us for our new pop up food series featuring our friends at Wooden Whisk Creations on the third Wednesday of each month! (Except for May and July, due to scheduling conflicts) A different theme each time, with a la carte entrees, sides and dessert. Gluten-free and vegetarian options available. No registration — just drop in! All events are come, first served while supplies last. Menu coming soon! Sunday, June 23 12:30 p.m. – 1:30 p.m.
Monday, June 24 6:30 p.m. – 9:30 p.m.
Book & Bottle Club: Royal Oak — 100th Book Celebration! Thursday, June 27 6:30 p.m. – 8:30 p.m.
We're celebrating the 100th book read by our twice-monthly book club, Book & Bottle Club, since March 2015! Whether you've attended B&BC in the past or this is your very first time, we welcome you to come out and enjoy this celebration of books and wine. - Featured book chosen by our members: "We Are All Completely Beside Ourselves" by Karen Joy Fowler. - Chances to win prizes! - As always, wine tasting flights will be available on a token system, and all Big Pours (except Reserve wines) will be just $7 for attendees. PLEASE NOTE EARLIER START TIME THAN USUAL! If you can't make it at 6:30, just join us in progress, but we wanted to make sure we had enough time for all of the things we wanted to cram into this evening. Wednesday, July 10 6:00 p.m. – 8:00 p.m.
Saturday, July 13 12:00 p.m. – 10:00 p.m.
Stay tuned for details on our Third Birthday Bash at MBTB Auburn Hills, with freebies, contests, live music, birthday cake and more! 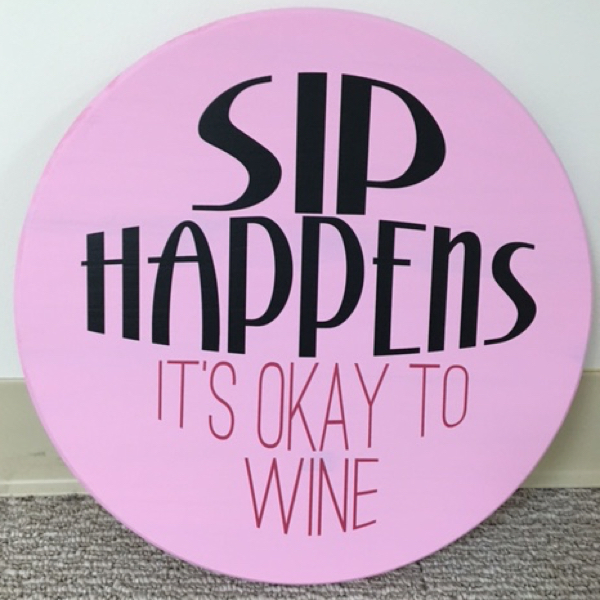 Sunday, July 14 12:30 p.m. – 2:30 p.m.
We’re teaming up with Life Expressions Decor by Victoria Flechsig for a fun afternoon of sipping and sign making. 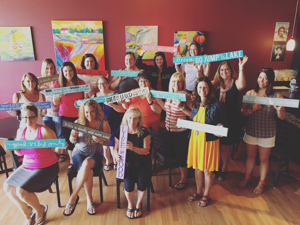 Join us to make a cool, decorative sign for your home – while enjoying wine, of course! 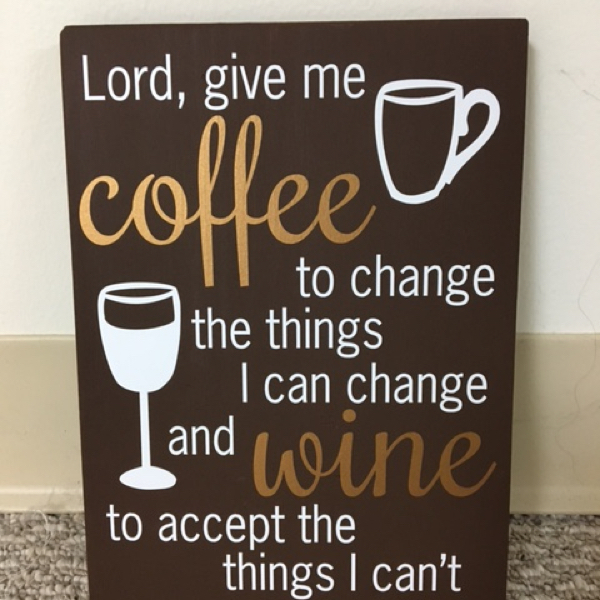 The $35 cost includes all of the supplies needed to make your custom wooden sign, plus a Big Pour of the wine of your choice and a $2 credit toward take-home wine purchases. (Additional Big Pours and snacks available for a nominal fee.) After you paint your board one of 45 colors, Victoria will show you how to apply your chosen saying (dozens available) for a finished sign with a store-bought look. They make great gifts, too! Space extremely limited. Note: While the process is not usually messy, it does involve paint, so please dress appropriately. While slots for this event are reserved with payment, actual seating arrangements are first come, first served. Doors open at 12 p.m. This event will take place in a cordoned off area of the tasting room; the rest of the space remains open to the public as usual during this event, with all traditional tasting options available. Wednesday, Aug. 14 6:00 p.m. – 8:00 p.m.
Wednesday, Sept. 11 6:00 p.m. – 8:00 p.m.
Wednesday, Oct. 9 6:00 p.m. – 8:00 p.m.
You can now bring your favorite wine from MBTB Auburn Hills to enjoy with your dinner at Dimtri's Opa! Restaurant, our neighbors across Auburn Road, with no corkage fee! Ask an MBTB team member for details next time you're in. 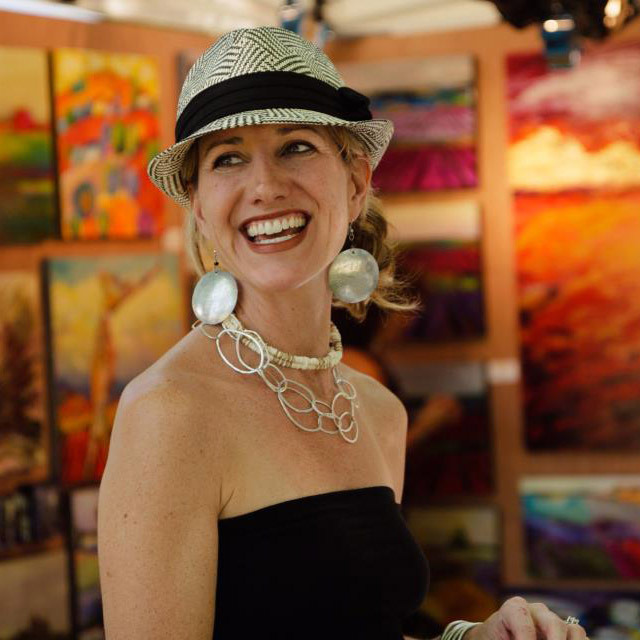 MBTB Tasting Room is home to a long-term gallery exhibit by Michigan artist Stephanie Schlatter. 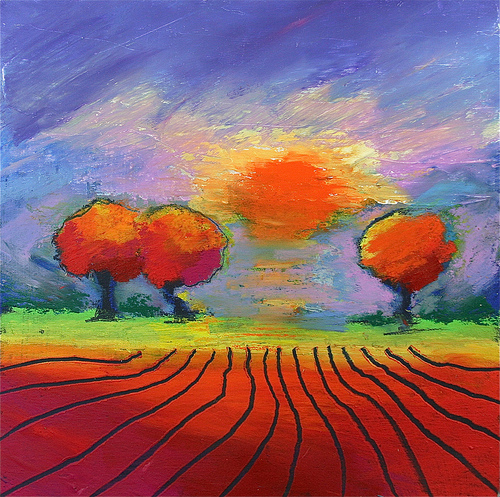 Stephanie, who hails from the Grand Rapids area, describes herself as “a painter of color, with a passion for expressing those things which inspire me.” One of those things is Michigan wine country, which served as the catalyst for Stephanie’s series, “On the Michigan Wine Trail.” The OTMWT works are her vivid depictions of the state’s sweeping vineyard vistas, but Stephanie says it’s more than just an attempt to re-create beautiful scenery. 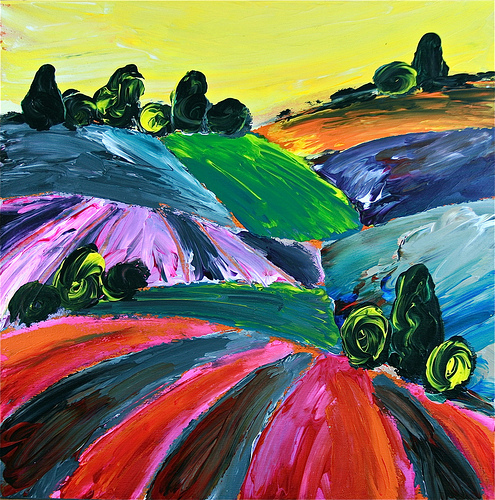 You can see portions of Stephanie’s OTMWT series in person at MBTB Tasting Room, and also purchase originals and/or prints of various sizes on site. The colorful Wine Sign Walls at all three of our locations is in partnership with Victoria Flechsig, Life Expressions independent consultant. 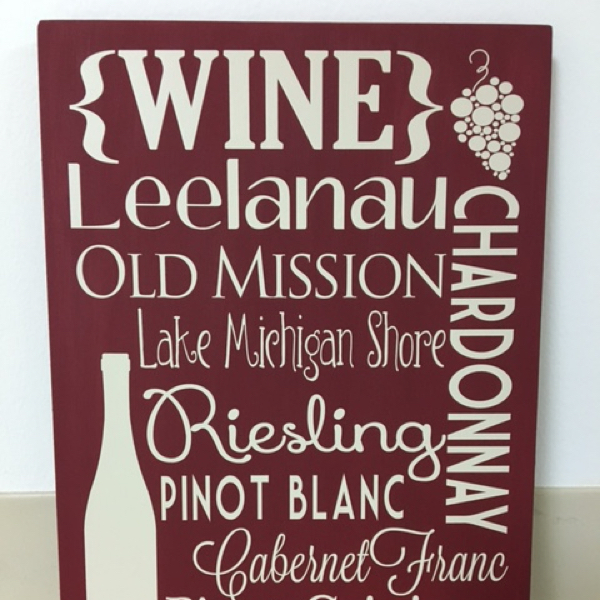 Some feature whimsical wine phrases; others are specially made for us, like our Michigan Wine Subway Sign, featuring local wine regions and grapes grown here in the state. Interested in ordering one of them? Drop us a line for details.